Welcome to our hotdog stand! Sometimes the place you ate at as a kid is still the best treat in town. Madvek's Doghouse has been a Calumet Region dining favorite for 50 years. Madvek's is a tradition to locals who remember eating at Madvek's as children, only to return years later with families of their own. We enjoy hearing our customer's stories about eating at Madvek's years ago. They understand it's more than just the food, it's the Madvek's experience. 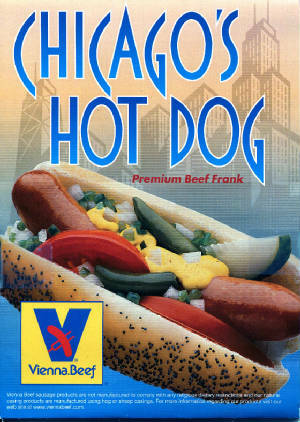 Several years ago we added the "Chicago Style" hot dog to our menu. Stop in and try this delicious Vienna all beef hot dog served with mustard, relish, onion, tomato, pickle spear, sport pepper and celery salt. We also offer our famous polish sausage served "Chicago Style". In December 2012, our cozy diner was featured on Chicago's entertainment and foodie program, 190 North. Madvek's was highlighted on 190 North for our interesting take on our highly-popular loose meat burger. 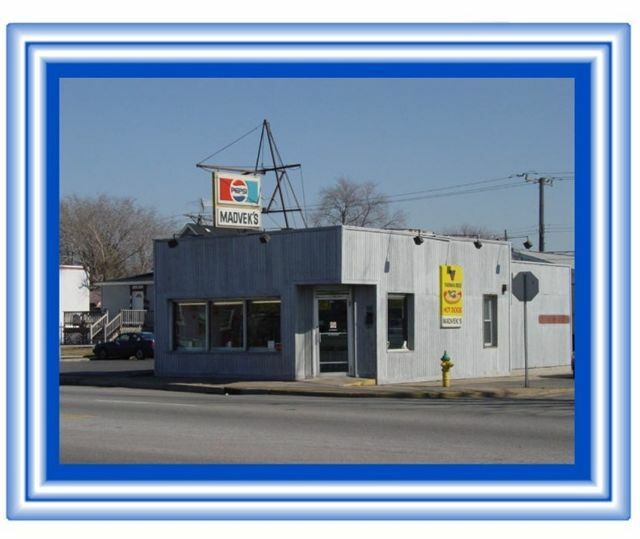 We are located at the corner of Calumet Avenue and 169th Place in Hammond, Indiana. 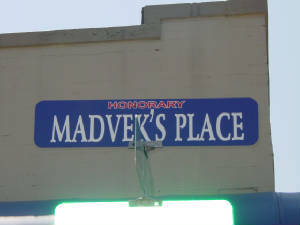 In October 2010 Madvek's received an honorary street renaming of 169th Place as "Madvek's Place". This recognition was in honor of George & Vi Madvek, the original owners of Madvek's. 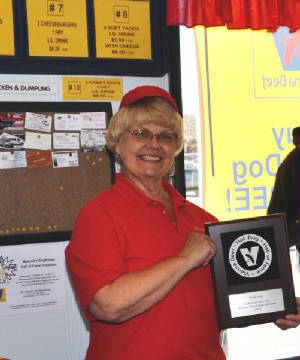 On Wednesday, October 27, 2010, Madvek's Doghouse was inducted into the Vienna Beef Hot Dog Hall of Fame. Madvek's consistent quality and fresh ingredients are the secret to our diner's never ending appeal. Generation of diners have savored Madvek's menu items including Vienna all beef hot dogs and polish sausage, loose meat burgers, tacos and homemade chili. 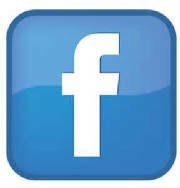 Madvek's Doghouse is open for business Monday thru Friday 10:30 am to 6:00 pm and Saturdays 11:00 am to 6:00 pm. Dine in or call ahead for take-out orders at 219-932-1060. For your added convenience, we are now accepting Debit and Credit payments using Visa, MasterCard, Discover & American Express. Thank you for your interest in our restaurant. We value all of our customers, new and old. 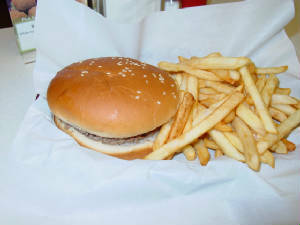 TO SEE THE 190 NORTH VIDEO FEATURING MADVEK'S BURGERS, CLICK THE LINK BELOW.